Visions of sugarplums and ……….saying “I Do!” Amidst all the celebrations, a special sparkle shines through – many couples choose to set sail together on life’s journey during the holiday season. And what better place to take the plunge than the King and Prince Resort at St. Simons Island, Georgia? Whether you’re checking out a spot for your destination wedding venue or making last minute New Year’s plans, the King and Prince provides the perfect setting. Long walks on the beach, elegant dining with a view of the sea, sumptuous digs perfect for breakfast in bed……….it’s all here waiting for you. So make your first decision together an easy one – say “Let’s Do It” at the King and Prince Resort! 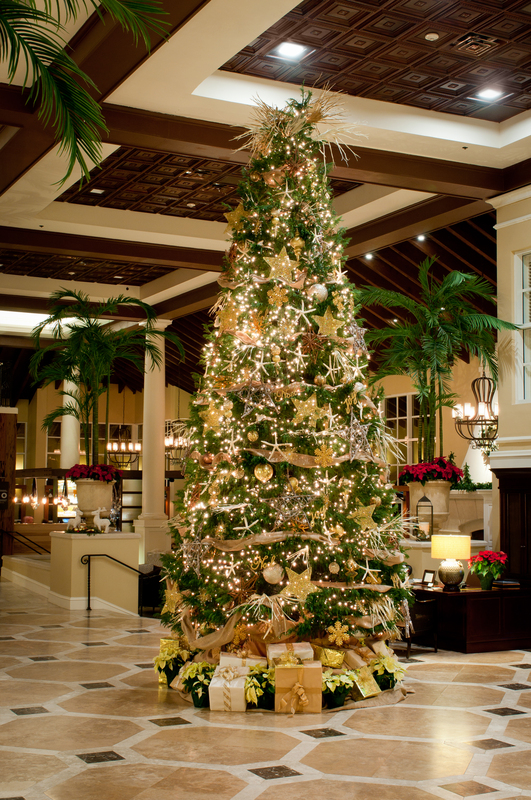 The King and Prince Beach & Golf Resort is decorated for the holiday season. There are numerous trees, poinsettias and garland decorating the entire hotel. 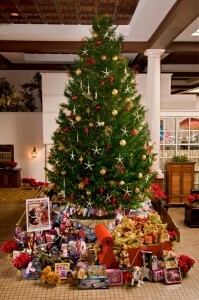 In the lobby is our 24 foot Leland Cypress Tree from Greene’s Tree Farm in Douglas. Under the Christmas Tree, we had a collection of toys for our Annual Toys For Tots Drive. 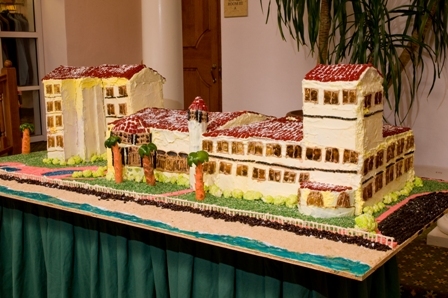 In our lobby across from the Delegal Dining Room is a display of gingerbread houses. Children from local elementary schools decorated gingerbread houses for us to display through the holidays. The King and Prince Staff had a gingerbread building contest. Seven departments submitted houses to be judged. It was a great team building activity for our employees. Houskeeping Department won first place and the Front Office came in second. Honorable Mention went to the Food and Beverage Department for their replica of The King and Prince Hotel. To See all of our Christmas Photos, visit us on Facebook.